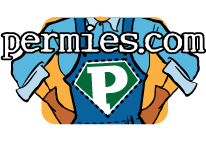 Craig is a permaculture designer and consultant with a focus on temperate climate, perennial food forests and homestead management. He has been testing and implementing his own designs while sharing knowledge and experience with others for the past seven years. 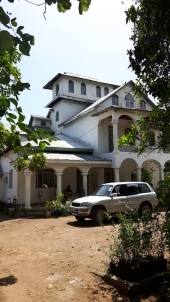 In 2014 he completed his PDC and began a larger expansion of his homestead and business. The future is bright, as long as you're willing to face it. It seems like there are many things that are triggering the site to log folks off. We're taking a good look at it and I hope that we'll have a fix soon. in the meantime, please report any oddness regarding this issue in this thread. Those reports help us to make things better, faster. 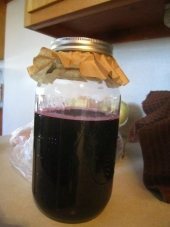 Kathi from Oak Hill Homestead just made her e book about making vinegar available for free if you sign up for her newsletter. I got my copy and have to say that it is a very good intro to making vinegar. She goes through the process and gives good tips and hints through the twelve pages of the book. I've made some different vinegar varieties over the past few years but I'd never thought of some of the ones that Kathi has created, such as pineapple vinegar. That sounds like it would be pretty awesome. 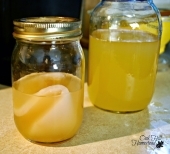 Can I transfer an apple cider vinegar (ACV) mother to other juices for vinegaring? One of the most versatile liquids in history was probably discovered by accident when someone left wine to ferment too long. The sour taste was probably an unwelcome surprise to the procrastinating vintner, but his mistake was an important discovery to ancient civilizations. I've had a good time making vinegar and this little e book would be a good place to start if you're thinking about starting to make your own. It's available for free if you sign up for the author's newsletter. I had a dream last night that there was a little clear ball rolling around on my floor. When I looked closely at it, there was a little hermit crab inside of it, pedaling that ball around like it was a paddle boat. It was sitting on a little seat and using it's tiny legs to pedal itself around the room. You've put up one hell of a fight, and all of your hard work is a monument to your dedication and strength. While the time horizon has changed and the obstacles seem ever more steep, I hope you stand tall and keep fighting the good fight. You've been a great example to so many here, and by the sounds of it, to your family as well. Best wishes Travis. If there are such things as miracles, I'm hoping you get one. You deserve it. Big welcome for our new Gardeners! Welcome to all of you. Thanks for all that you do. paul wheaton wrote: Maybe a good question is: why do people even ask? I suspect that the question is a stepping stone placed by the person asking the question, to illicit a certain response which will allow them to move on to suggest that there is some unfair discrimination that has lead to the numbers in the statistics being as they are. But then again, some folks just might be curious. Why aren't there more X people in Y field of study? I would imagine the factors involved are numerous and complex. Though I'll be the first to admit that I like a short and sweet answer, some things can't be boiled down to a soundbite. That's the trouble with discourse in today's age. There's too much info and not enough time. AND nobody has enough time to really dissect all of these complex questions, but we all still want an answer. So we go with the quickest, most basic thing that we can come up with and we go with that. Even if somebody put a ton of effort into writing a book completely devoted to answering that specific question, almost nobody would bother reading it. That's kind of how we operate now. Of course this is just my stupid opinion. It looks like the course and videos will be re-opening May 16th. There will be a discounted pre-sale for a week ahead of the second release. I'd like to hear from folks who've purchased the course. What are your thoughts? I can't remember where I read it, but i think rabbits make two different "poo pellets". One is kinda wet and sticky, well digested and sorta gross, while the other is more dry, fiberous and light. I think the latter is what the mothers will deposit for the kits to eat in preparation for weaning.